The Wave, long chain necklace is made from Rhodium plated sterling silver. The ebb and flow of the ocean’s waves, big and small, give the shape to this adjustable necklace. 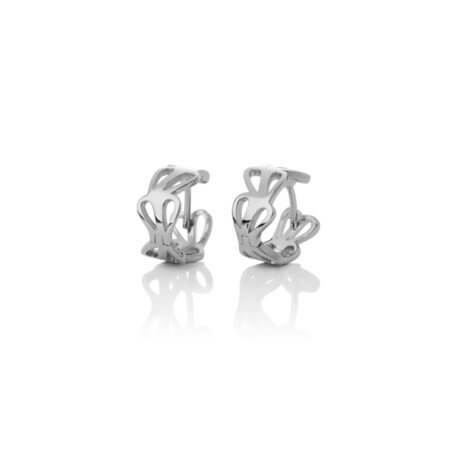 A special piece for a most powerful and most peaceful force of nature, the ocean. It surrounds you, comforts and brings energy. 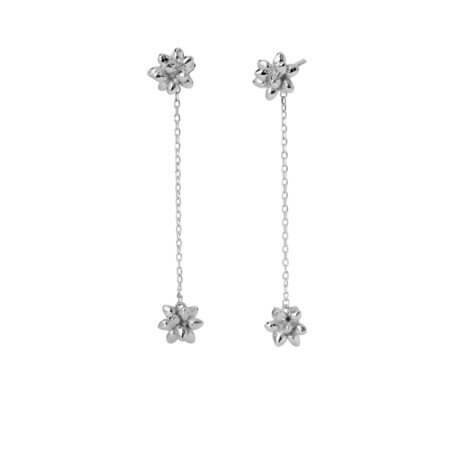 It takes a special piece of jewellery to be suitable for both the cinema or to a gala. 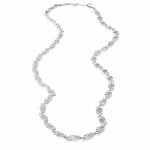 Our flowing chain necklace will suit nearly any occasion, delighting women of any age with its beauty and versatility. 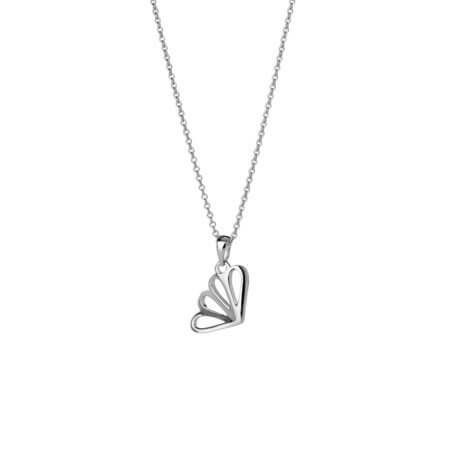 Wear it with any colour – that’s the beauty of silver. It matches every colour and fabric. Flowing and whimsical, this unique piece highlights the asymmetrical waves of the sea. It has clean lines, like the peaks of waves, which recall the essence of nature’s most precious resource, water. asa iceland’s greatest source of inspiration comes from the natural world. Surrounded by ocean for kilometres in any direction, Icelanders have turned to its waters for everything since Viking times. 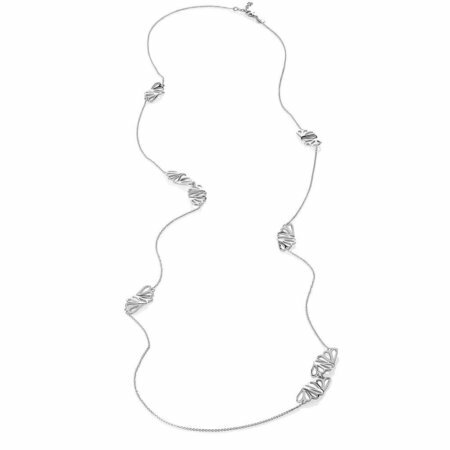 Perhaps you see a hint of the adventurous Viking spirit in this special sterling silver necklace? We like it with every piece in the Wave collection, but enjoy it best when paired with the matching ring, earrings with a chain and bracelet. Perhaps you prefer the chain bracelet, instead? The choice is yours. We advise you follow our product care guidelines so you can enjoy this product for many years to come.